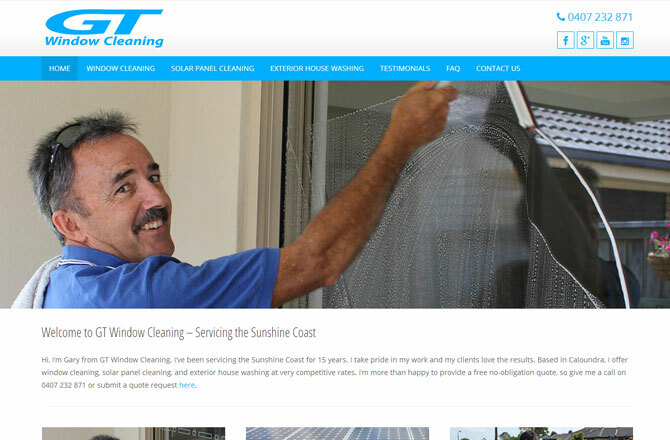 GT Window Cleaning has been servicing the Sunshine Coast for 15 years. They’ve never had a website before, but things had started to get quiet. So they contacted Partner Digital to design and build a fully mobile responsive site. Additional design work was also done to help brand and promote the business, including designing a logo and pamphlets. SEO is also underway. “I have been very impressed with the website Partner Digital put together for my business. They are very professional with their attention to detail, plus I feel my needs have been met, guided by their expertise. I would not hesitate to recommend them to any of my family, friends or clients.